This boat has been very well cared for and has spent most of its time in the brackish back bay waters. The Mercury motors both look very clean and show their original shine. No signs of fading. The hull is very nice for a boat of this vintage. Stock #133307 The legendary Mako with newer motors! Ready for fishing and cruising. 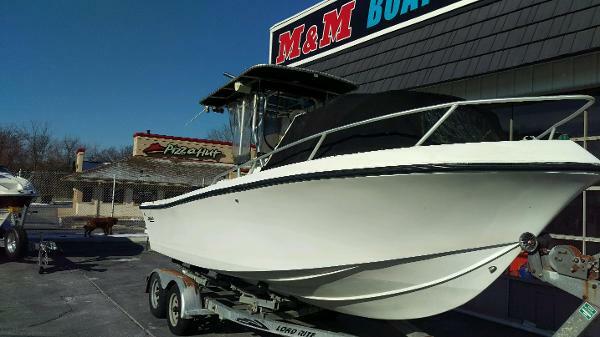 If you are in the market for a center console, look no further than this 1984 Mako 254, just reduced to $21,495 (offers encouraged). 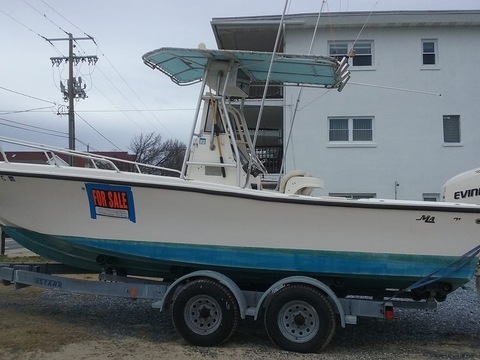 This boat is located in Ocean City, Maryland and is in great condition. 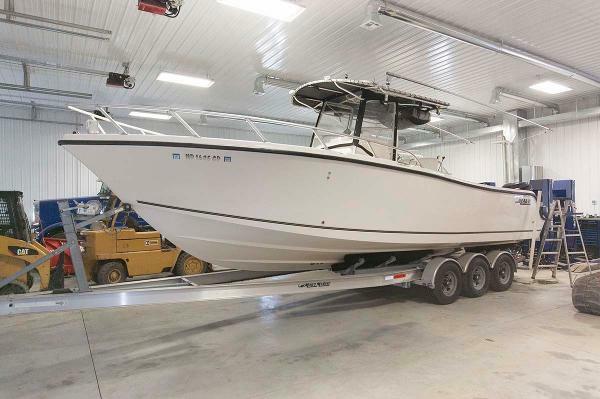 She is also equipped with twin Mercury engines that have only 282 hours. Reason for selling is has another boat. 1985 Mako 254 Center Console 1985 Mako 254 center console. 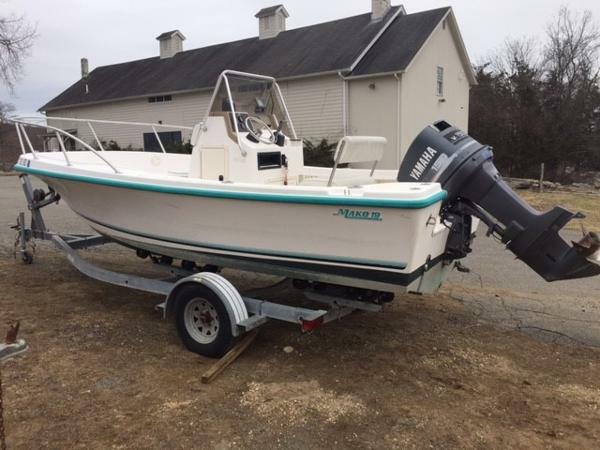 Fishing machine, twin 2006 200 HP envirudes , 2012 bunk trailer,loaded, great shape, ready to fish...410-991-0271 joe..text for more pic. 1996 Mako 19 Center Console Watch our very informative 5 minute video of this boat running - in the water on a plane! 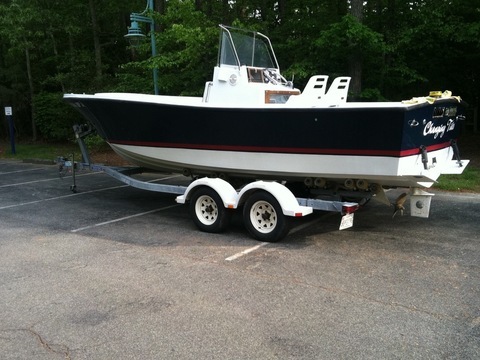 This 1996 Mako 19' Center Console is powered by a 1996 Yamaha 150hp outboard. 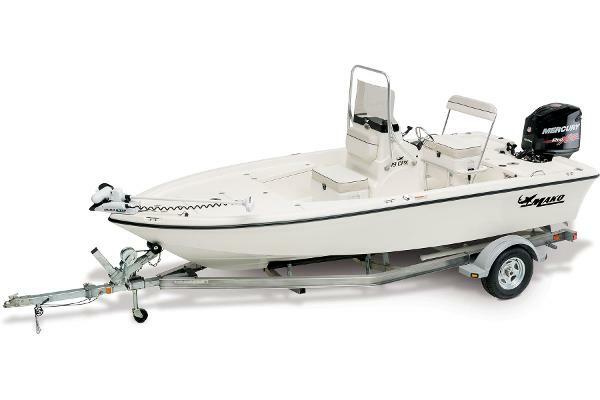 Features include: dual batteries, depth finder and rod holders. 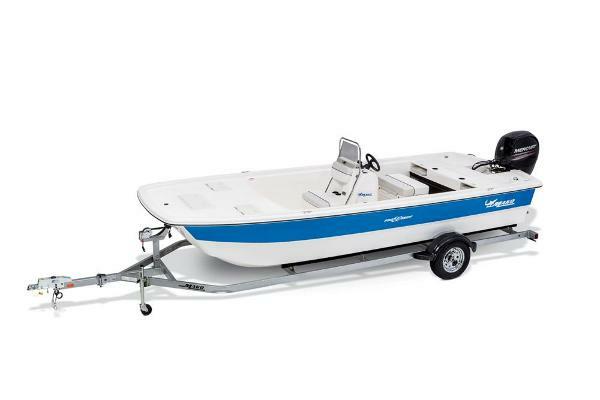 This is a very clean simple boat that's great for crabbing or fishing. Also included in this package is a FREE single axel roller trailer. Stay tuned for more pics and our video. 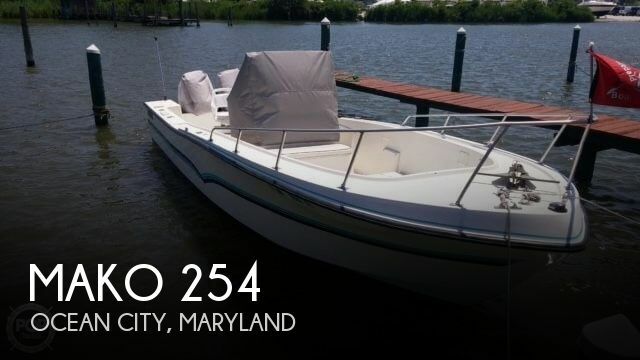 For more information on this listing call Mike Fierstein @ 410/391/2333 ... ANYTIMERemember - we sell boats for less - guaranteed, and we do take trades! !Watch our video in the Photo Gallery! For finance info and to see our purchase policy, hit the FAQ tab on our Website. 1999 Mako 221 Center Console Watch our very informative 5 minute video of this boat running - in the water on a plane! 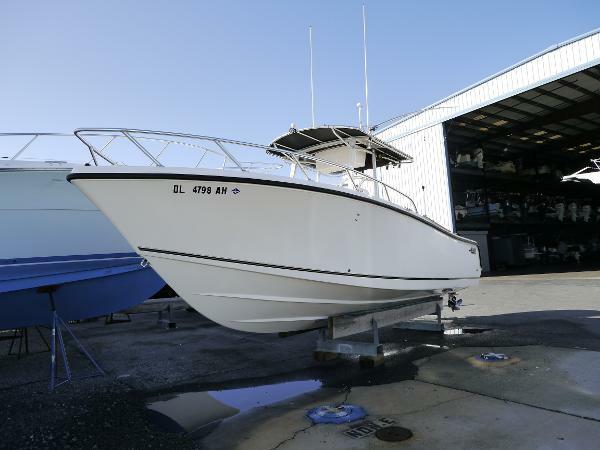 This 1999 Mako 221 Center Console is powered by a 225hp Mercury EFI engine. This engine sips fuel almost as well as a four stroke. Tons of features that include: stainless prop, tee top with mounted outriggers, rocket launchers, spreader lights, recessed trim tabs built into the hull, dual batteries, custom made forward dodger (like a portable pop up cabin), cushions everywhere, fuel separator, leaning post, aerated live well, hydraulic steering, stereo, compass, Garmin GPS sounder (about $1,800), and anchor locker. 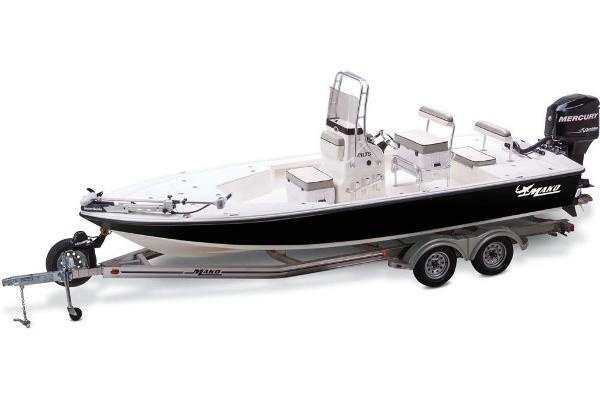 This truly is a beast of a boat: Rock solid - all the quality that Mako is known for is displayed in this beautiful boat. And.... The sale also includes a free dual axel roller trailer with new LED lights! 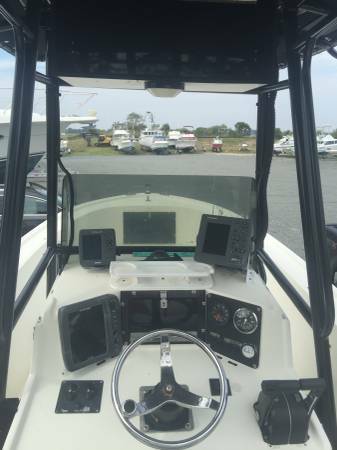 If you've been looking for that special high end center console, come check her out. For more information on this listing call Mike Fierstein @ 410/391/2333 ANYTIME. Remember - we sell boats for less - guaranteed, and we do take trades!! Watch our video in the Photo Gallery! For finance info and to see our purchase policy, hit the FAQ tab on our Website. 2006 Mako 284 CC The Mako 284 is a mid-tier center console from a company long known for building durable, no-nonsense fishing boats. Introduced in 2005, the 284 is heavily built on a solid fiberglass hull with high gunnels and a wide 9'10" beam. 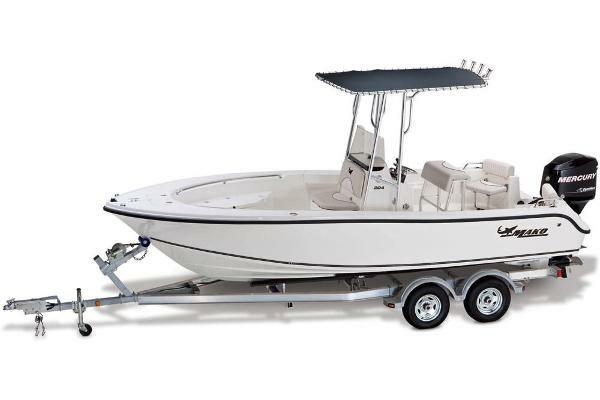 Her versatile layout, with an uncluttered cockpit and cushioned bow seating forward, is well suited for serious fishing as well as day cruising. Standard features include: Integrated dive platform Bow seating Leaning post with backrest Anchor locker Bait prep station (behind leaning post) with sink and tackle storage 50-gallon livewell Transom door Walk-in console with sink and portable head Cockpit lights Rod holders, drink holders, cockpit rod storage Trim tabs Cockpit bolsters In-deck bow storage Raw-water washdown Console cooler seat In-deck fish boxes (3) Folding rear seat A marine head and bow pulpit are optional. Boatel kept. 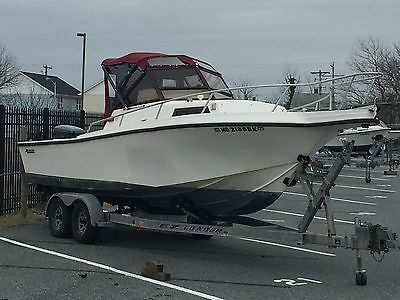 For sale is a 1988 Mako 23 walk around. Also included in the sale is a 1989 Easy Load dual axle trailer. The boat is powered by a 1996 Yamaha 250, which has been rebuilt with less than 100 hours on it. Also done as a precaution, all the carburetors to verify great running condition. 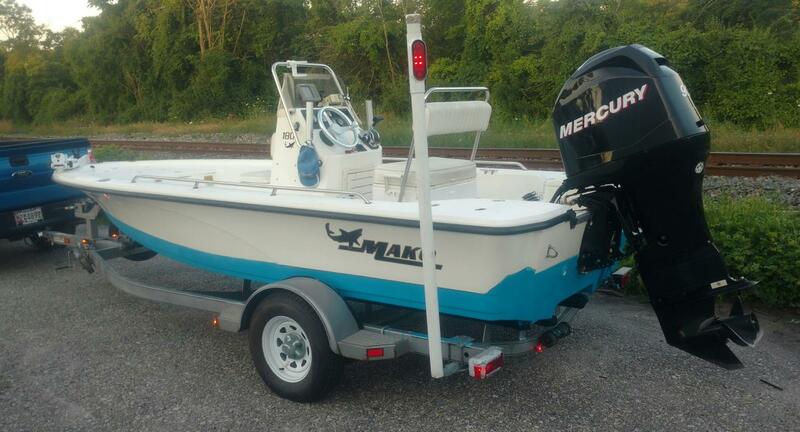 This is an excellent boat, especially if you know the Mako brand. I have clear title on boat and trailer. Also there have been several additions to the boat. I added dri-deck flooring, a leaning post, new trim tab pump, new AM/FM radio and new plastic in the canvas. Unit also comes with a Garmon GPS and a Hummingbird depth finder. This is a heavy, sturdy boat that I just don't use anymore.